Getting a visa on your own is a real hassle and organisations such as BUNAC and Intrax will help you through the application process. This is strongly recommended unless you have a firm offer of a job from an American employer before you go, who is prepared to vouch for you and do the necessary paperwork at their end. Immigration laws into the US are understandably tougher since 2001, and the way that immigration law works (even for tourists), is that the official checking your visa application or passport has to presume that you are actually an immigrant. It is up to you to prove that you only want to stay in the US temporarily, and that you’ll definitely be going home at the end of your trip! See visa usa now for up to date information. This is the most straightforward type of visa to get. 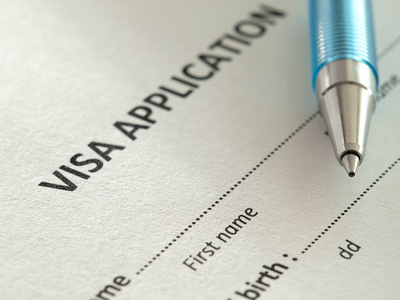 Applicants for visitor visas from certain countries, including the UK and Ireland, can apply under the visa waiver program. This means that your entry to the USA is more straightforward. You are not allowed to work on a visitor visa. This sort of visa is for those visiting the USA on an exchange trip. In theory it is to promote educational and cultural exchanges. In practice the J1 visa has been the best way of combining work and travel in the USA if you are a student. However, since 2001, all visa regulations and eligibility have been tightened up, and you should check USA Immigration Services website or speak to a sponsoring agency such as BUNAC or Intrax to clarify the latest criteria for J1 visas. The “F” category visa is for those wanting to study an academic subject in America. The “M” category is for those wishing to study a non-academic or vocational subject. If you are offered a place by an American educational institution, you have to apply for an “F” or “M” category visa at your nearest American embassy or consulate. You will need to show evidence of enough funds to cover at least your first year of study on an academic course. For a vocational course you will need to show evidence of funds to cover all of your costs throughout your entire stay. The H-2A visa is for people wishing to work in America as temporary or seasonal workers in agriculture. The H-2B visa is for those wishing to work on a temporary or seasonal basis in a non-agricultural sector. These are only issued if you are offered a job in the US by an employer who has completed the correct paperwork and has proven that they can’t find any American citizen who can do the job instead. This is the kind of visa you’ll need if you want to any kind of work, permanent or temporary, that isn’t an organised program or exchange. If you want to get paid work in a ski resort or pick fruit for a few weeks, You’ll need an “H” category visa, unless it’s a recognised, organised programme. How long can I work in the US? “J-1” visa programmes vary in length, from a few months to a year and a half at most. “H” category working visas allow you to stay anything from 18 months to 3 years, depending on what kind of visas you get. Whether you’re getting a “J-1” visa for an exchange programme or an “H” category visa for a pre-arranged job in the US, you’re going to have to head to London at some point for a meeting with US Immigration. Contact details for the embassy are listed below. A good starting point for all things visa-related is the USA Immigration Services website.